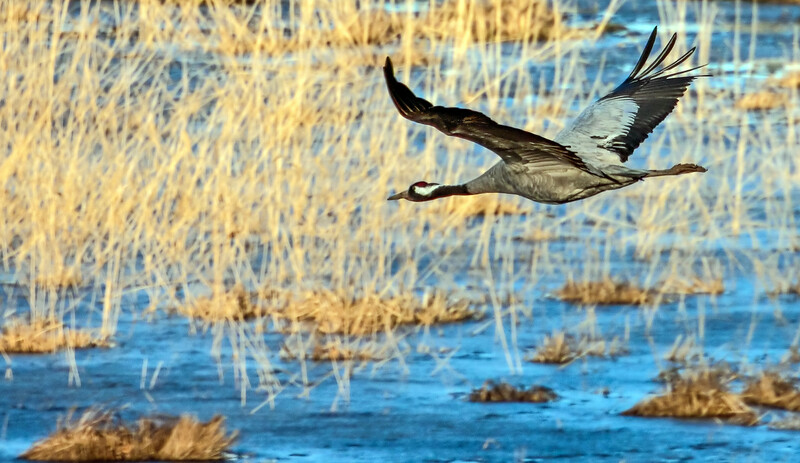 The Common Cranes of Sweden stay in winter in Southern Europe and Northern Africa. 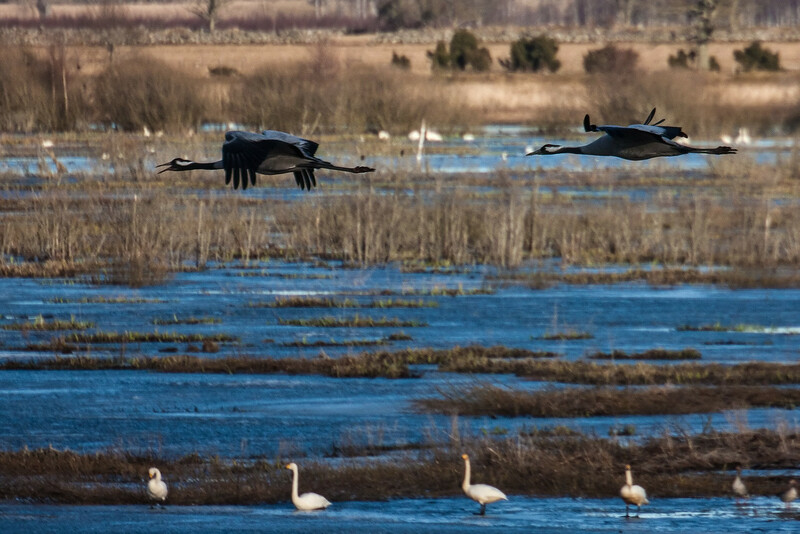 When they return to Sweden to their breeding grounds they have a rest at Hornborgasjön, where the number of cranes reach the highest level in April with up to 26.000 resting cranes. The pictures below are from 2011. Wow, what a great wetland for the birds. 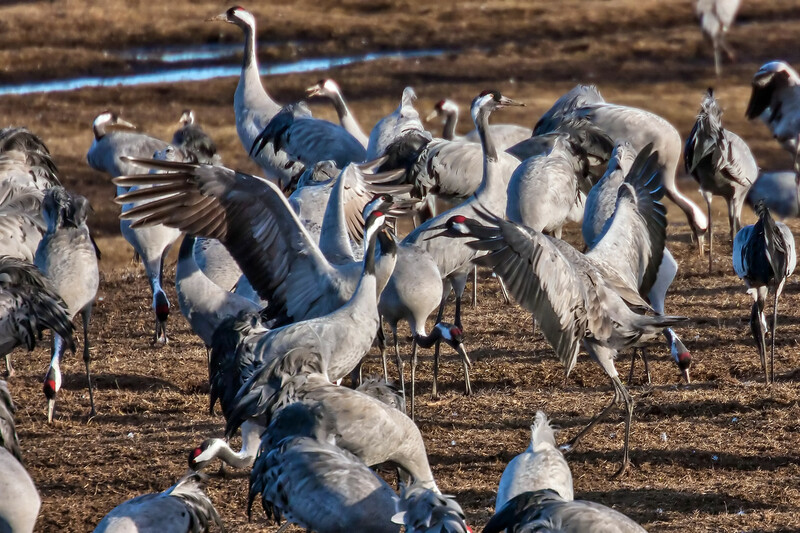 What kind of cranes are these? 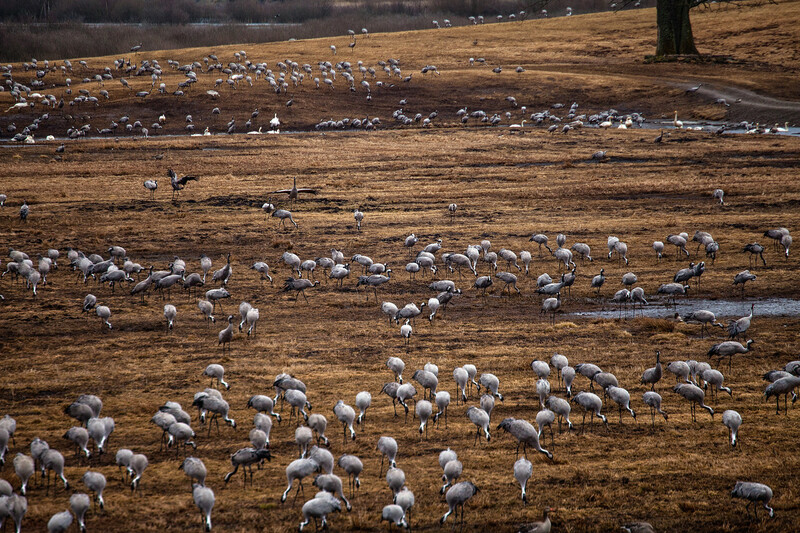 They resemble sandhills, but maybe a bit different pattern of color. 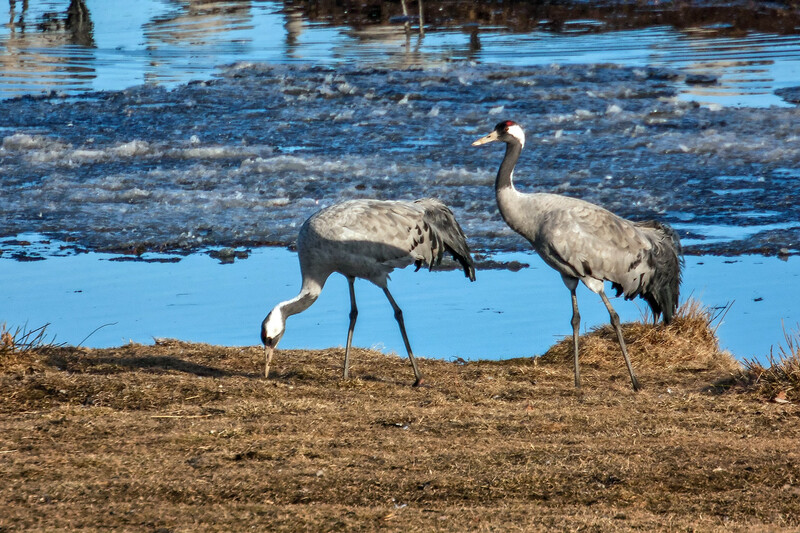 The landscape in some areas looks like shallow water for wading birds, like the platte River areas. I spent a few days at Hornoya last summer in Norway too. 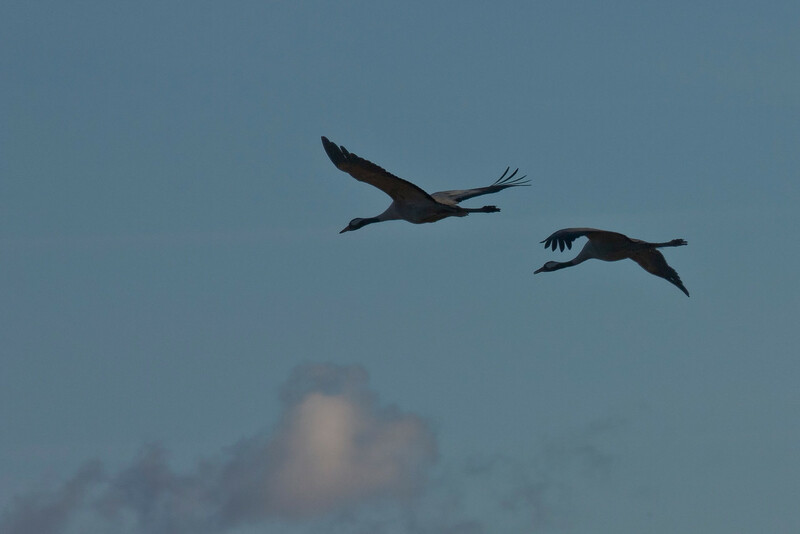 The cranes at Hornborgasjon are "Common Cranes" or "Eurasian Cranes". 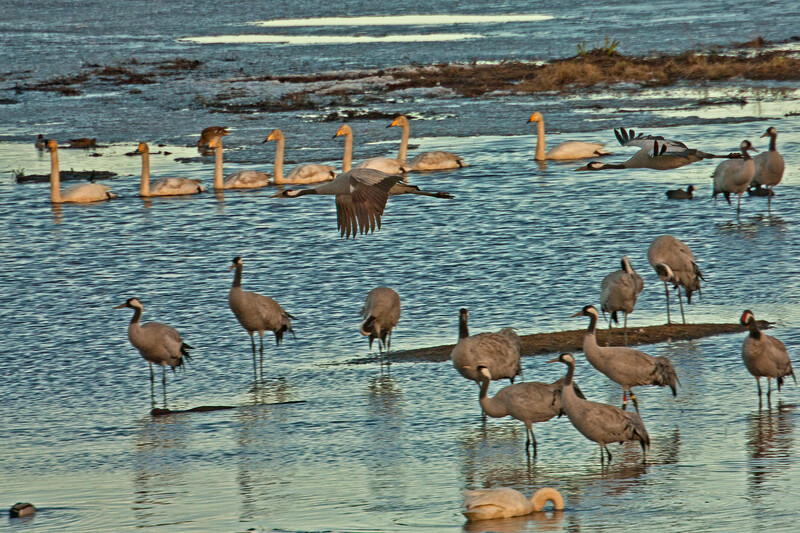 Yes, they are only a little different from the sandhills. It really is. 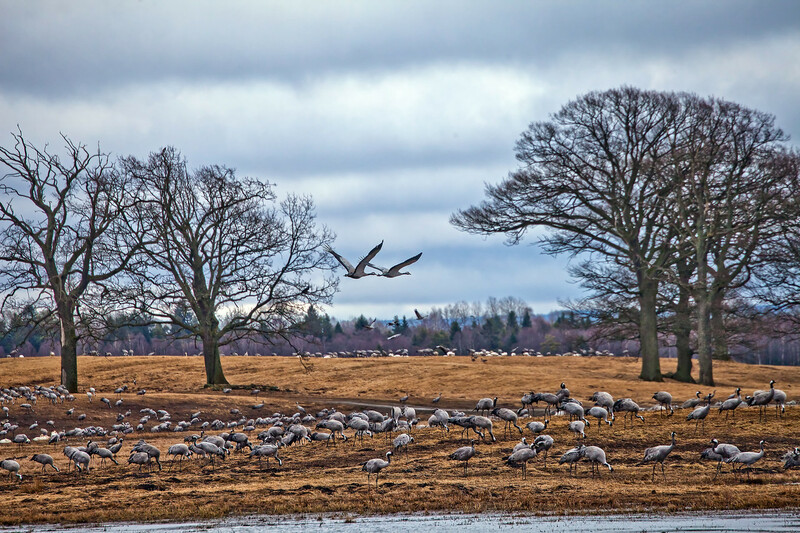 There is another crane resting place in Southern Sweden - called Pulken. 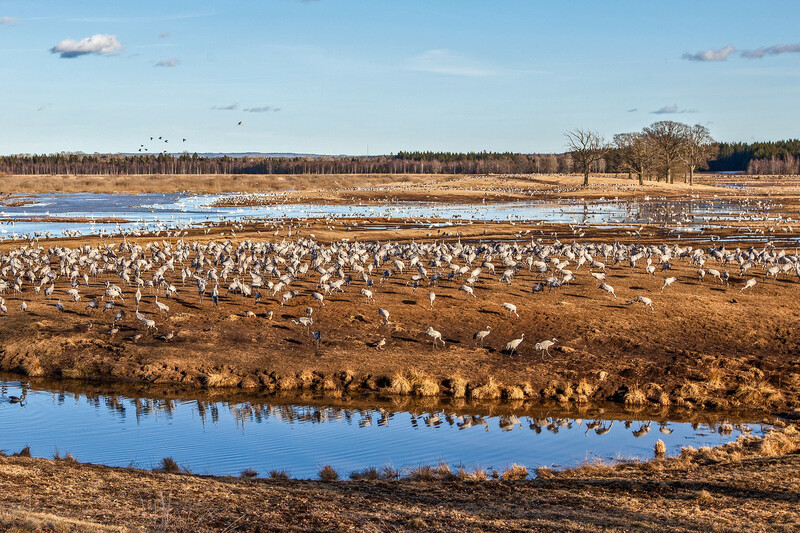 On that locality the number of cranes is limited to 3.000-5.000 at the same time and not up to 26.000 as at Horborgasjön. That is still amazing!